The rufous treepie (Dendrocitta vagabunda) is a treepie, native to the Indian Subcontinent and adjoining parts of Southeast Asia. 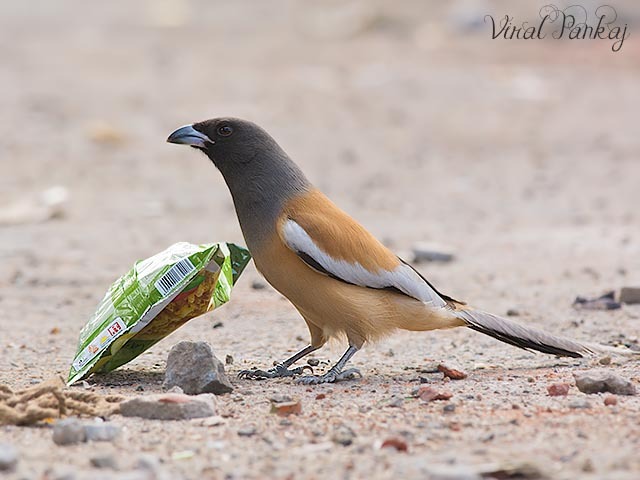 It is a member of the crow family, Corvidae.We saw lots of Rufous Treepie in north Gujarat. Rufous Treepie here comes very close to humans. It was one of the bird who regularly visit our backyard for food. 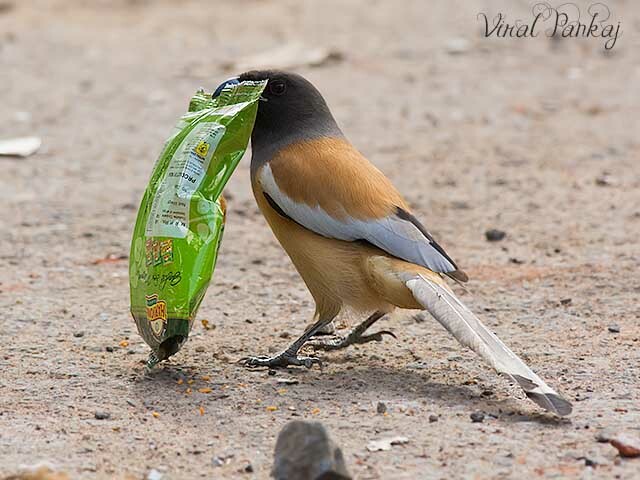 We frequently visits the Balaram-Ambaji Wildlife Sanctuary many time and each time this bird give us new behaviour. 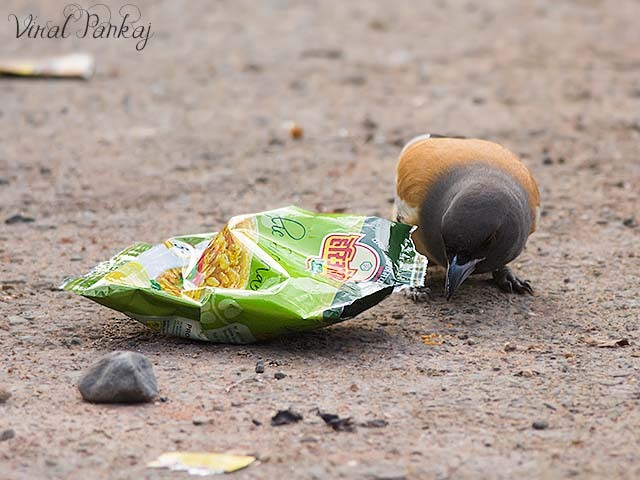 At parking area of the sanctuary, we saw a Rufous Treepie playing with the left over snack pack. Then it tried to get the food out of it. First it picked it up from below and then turned it upside down. 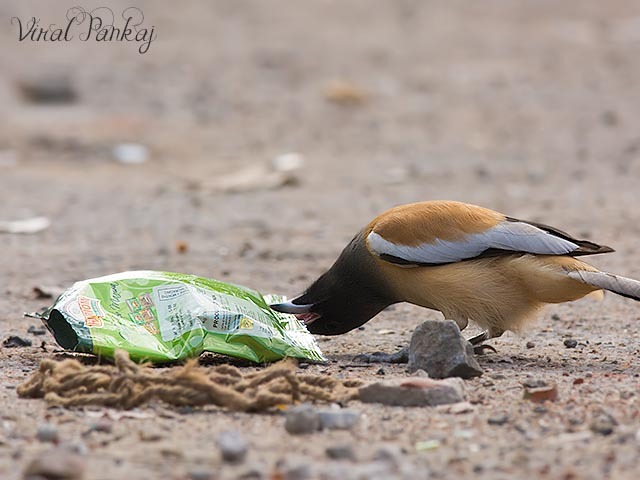 When the food came out, the Rufous Treepie ate it. It repeated the same procedure many times. 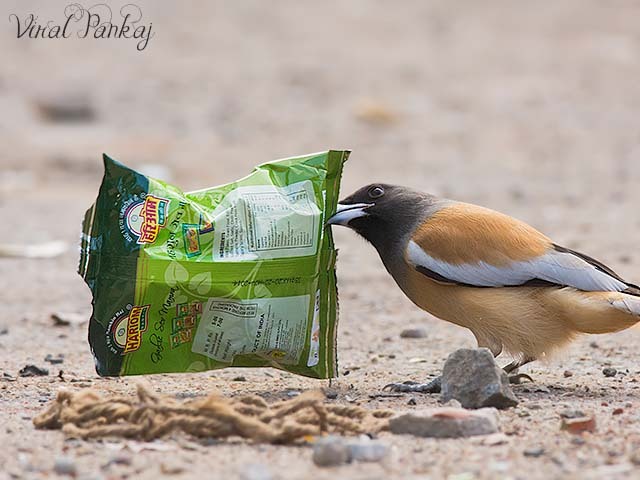 The Rufous Treepie turned the packet from all sides until all the food had come out from that pack. 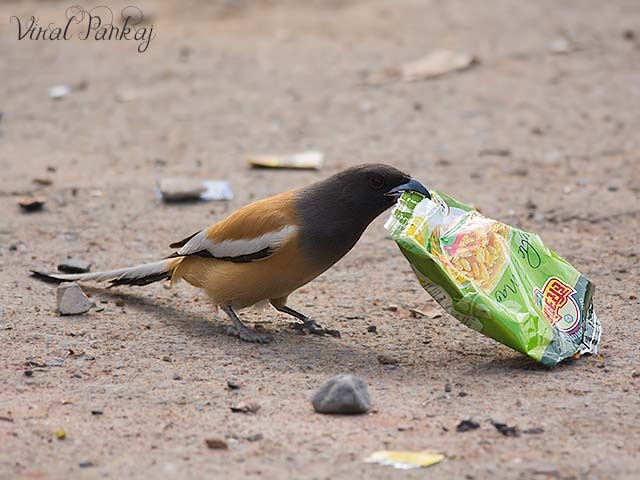 At last, when nothing more was coming out, it left the pack, checked other packets and ran away.